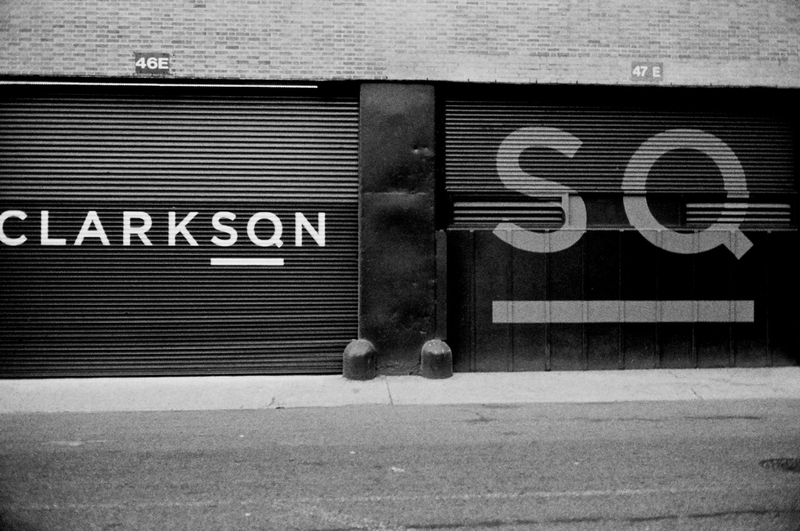 I cannot decide whether I think the use of CLARKSQN to render “Clarkson Square” is clever or too clever by half. The bottom line is I think I figured out what it meant pretty intuitively and without much thought which means it works, even though something still bugs me about it. This is on Washington Street at the corner of Houston. It is on the north side of Houston bue I think it’s considered SoHo anyway.